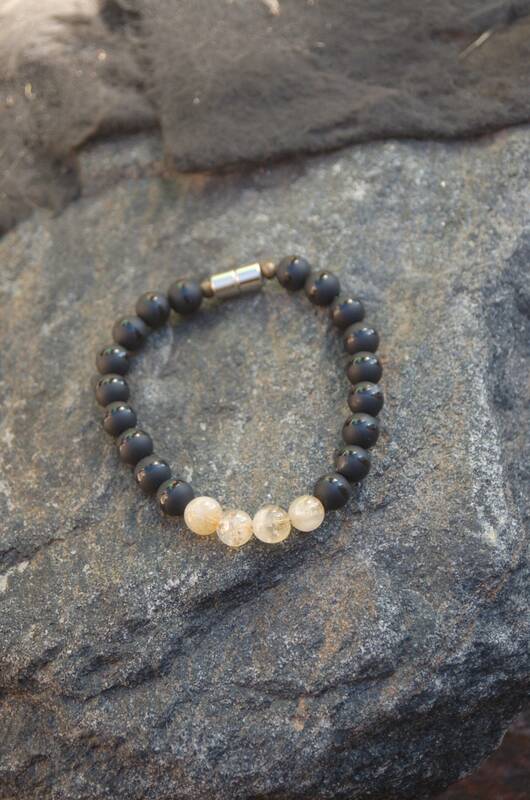 Men's Bracelet, Citrine and Black Agate Bracelet, "Yellow Jacket"
Citrine and Black Agate Bracelet, "Yellow Jacket"
Evoking the beauty of nature, matte black agate beads, with a shiny stripe are beaded along the length of this bracelet from Song Sense Jewelry. 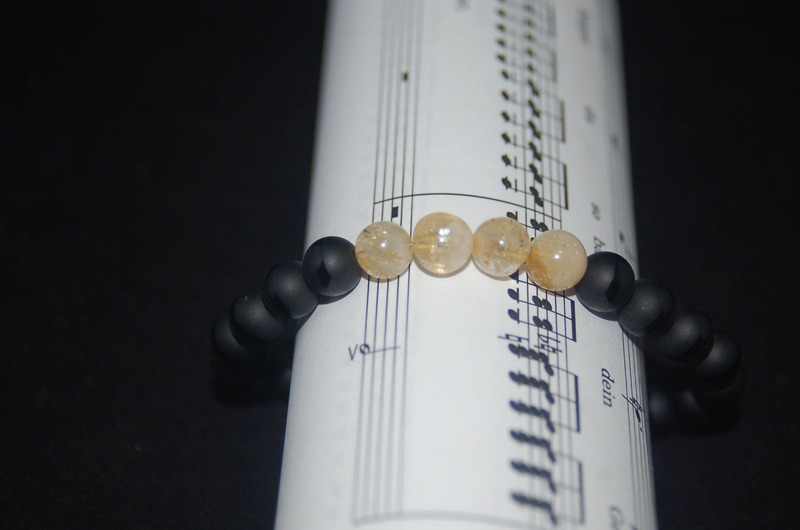 Four AAA quality beads of natural citrine highlight the center. Yellow jackets are masters of communications. If this "Yellow Jacket" comes into your life, perhaps it can remind you to express yourself more clearly. 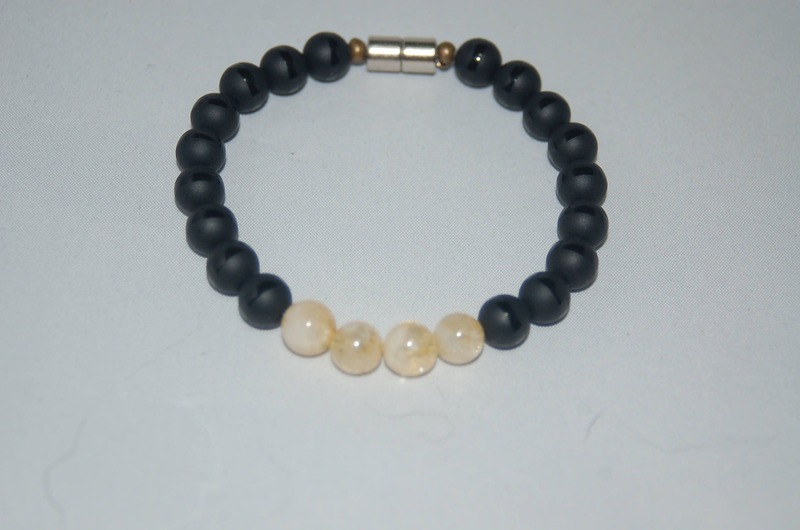 Kathleen designed and craft this bracelet, finishing it with a strong magnetic clasp. Order now to guarantee availability. Your item that will arrive to you in a gift box. Shipping is FREE in the US and fully tracked.